Trimming large topiary bushes and hedges can be a real pain without the right equipment. We've tried these excellent ladders and they are so versatile. 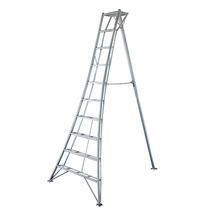 Depending on the slope, you can either work face-on, with the 3rd leg poked into the hedge, or sideways, with the ladder parallel to the hedge. 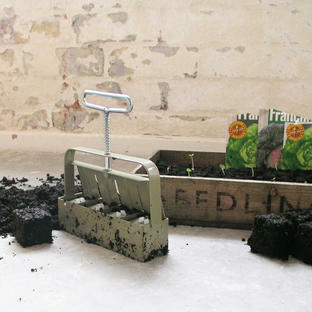 They allow you to spend all the time necessary to do trimming and pruning jobs properly, without rushing because of the their adaptability, stability and comfort. The wide base, deep steps and telescopic back leg, as well as clawed feet and flat top make them incredibly safe and easy to use. Rather like in the design of the Eiffel tower, your weight is directed downwards and outwards, pinning the ladder to the ground. 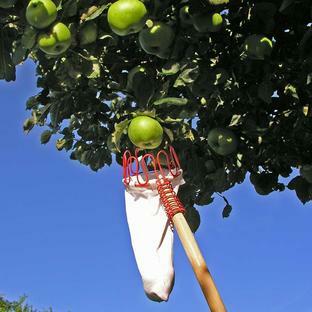 Ideal for orchard work, both for picking and pruning, where thanks to the single back leg, you can can get right into the crown of the tree. 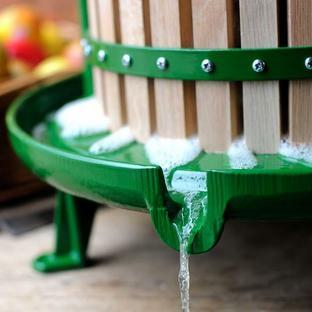 Unlike traditional orchard designs (pointed A-Frame), you can lean over the top, or rest picking baskets etc on top. They’re also considerably wider at the base than A-Frames, have the telescopic back leg (vital on slopes) and of course are welded not riveted, so are much, much stronger - and exceptionally light and easy to use. Users include tree surgeons, topiary specialists, head gardeners, orchard owners, hedging contractors and landscapers, as well as keen gardeners whom appreciate the stability and practicality of the tripod design. 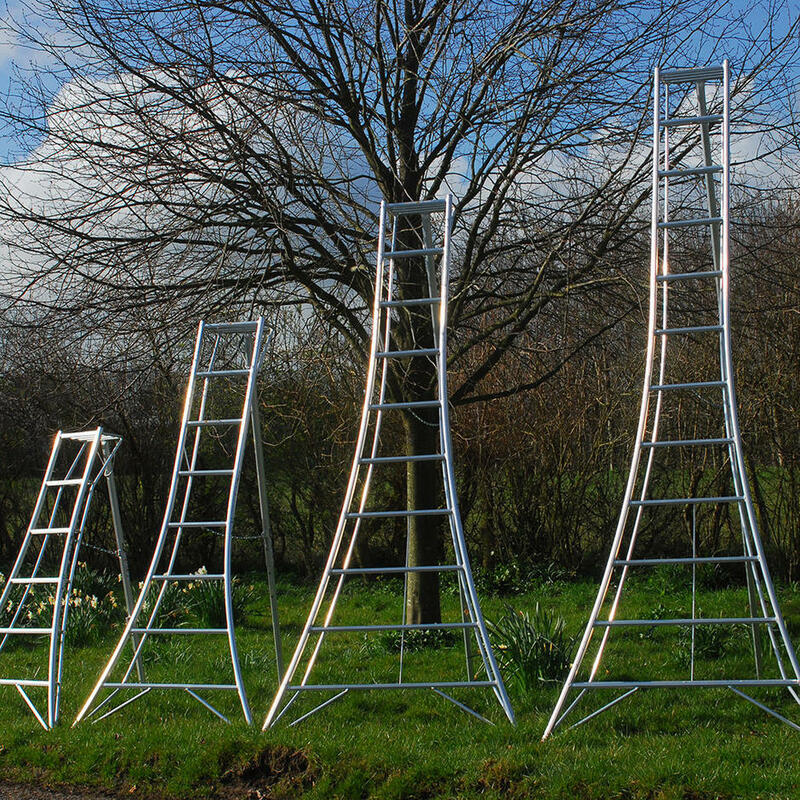 These ladders are the professional version of the Niwiki Tripod Ladder and are designed to conform to EN-131 standards, assuring professionals, employers and all demanding gardeners of the quality and safety of these remarkable ladders. With a load bearing of 150kg, reinforced lower rungs and a chunkier back leg, they are stronger, more robust, and more rigid, offering greater stabilty and user saftey. 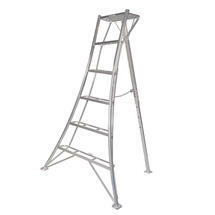 There is also the option of Rubber Feet but these are only necessary if you plan to use the ladder on hard ground. Our supplier Jake imports these ladders from Japan - here's his story. Watch a video of Jake on his ladder. • Lead time is generally about 7/10 days -although it can take longer at busy times. See the availability date below the item information panel. We will liaise with you following receipt of your order. • We will always let you know the day in advance, although narrowing down the time slot is difficult. • When ordering, please give us as much useful information as possibe regarding hard-to-find addresses, awkward access, dates when you're away, etc. 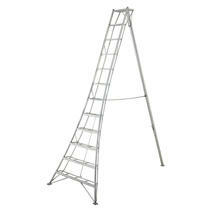 With your instruction, ladders can be left safely without a signature, to save you from having to wait in all day. Even if we give you an approximate time of delivery, please understand we cannot avoid the occasional delay, and it really helps to give us instructions to leave the ladder, to avoid you having to wait in unnecessarily. NB Our courier may be unable to deliver to properties without a VISIBLE house name. • When we are unable to deliver within a reasonable timescale, we use a 3 day service with Tuffnells. 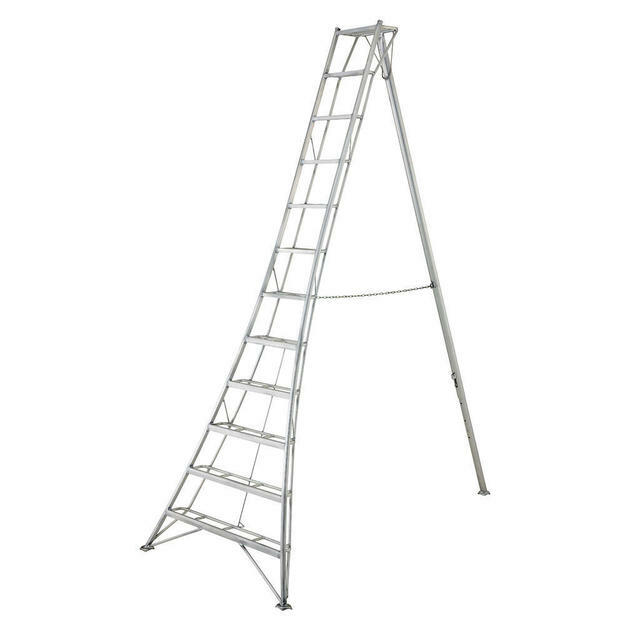 The 3 day service means your ladder could be delivered over the following three days once dispatched - we do not get tracking information and cannot request a specific day, although you can leave instructions for the ladder to be left in a safe place without a signature. 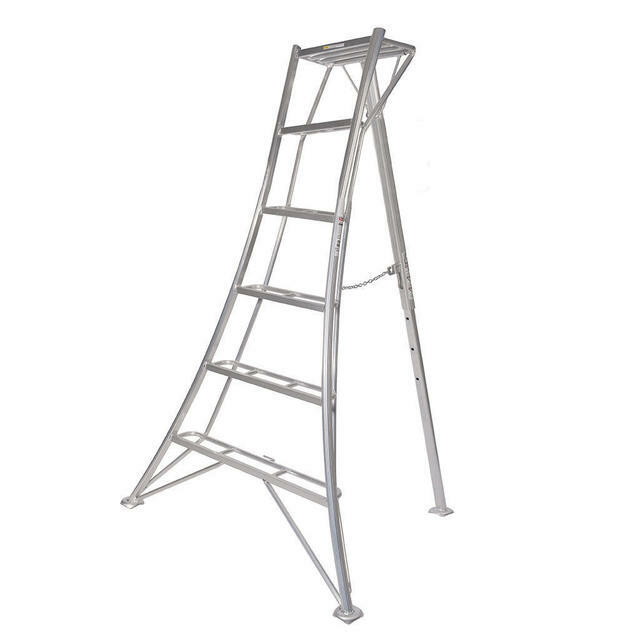 • Regrettably because of their size, we may be unable to ship these ladders to the further parts of the UK and beyond (particularly those requiring sea travel) without significant additional charges. Please contact us first if you are in any doubt.